I’ve been attending Connections events for years, mostly since the demise of the late lamented Microsoft Exchange Conference (MEC). While MEC was an official Microsoft conference and so benefited from the Microsoft marketing muscle and access to engineers and program managers, it eventually foundered on the twin rocks of a competing TechEd and event and a lack of funding, not to mention the lack of support given by engineering groups for non-U.S. events. In any case, Connections has provided an interesting meeting place for the Exchange community since the demise of MEC. While mostly still a U.S.-centric event (I believe that conferences will be announced for Germany and the U.K. to run sometime in summer 2011), the numbers of people who attend Connections has gradually grown over the years. Many people regard Connections as a place to go to feel the pulse of the Exchange community as well as having the chance to meet folks with high reputations in the field such as Paul Robichaux, Jim McBee, Michael B. Smith, Mark Minasi, Kevin Laahs, and Kieran McCorry. Note that I don’t say how these reputations were earned – that topic is worth a separate session at Connections. I am signed up to do a keynote at Spring Connections 2011 in Orlando, FL. I’ve done a reasonable number of keynote talks at conferences over the years so getting up and talking won’t be a problem. The real challenge is determining content that will be of interest to the thousand or so people who typically come to a keynote. 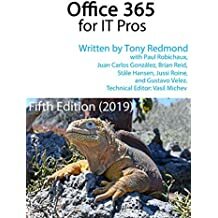 Sometimes Microsoft makes the problem go away by releasing a new version of Exchange – everyone is interested in listening to an assessment of what’s good and what’s not so good in a new version. If a new version isn’t on the horizon, the sessions tend to be more commentary in nature. A review of best practice is usually well accepted as are sessions that offer solid frameworks for deployment, implementation, and support. Because the session is a keynote, the content has to stay at a reasonably high level – the conference sessions do a great job of diving into the weeds and providing the detailed tips and techniques that attendees need to get their job done. What considerations need to be taken into account when a migration to Exchange 2010 is considered? What clients should I use? Does the DAG really deliver high availability for Exchange? What new hardware do I need? Should I factor Office 365 into the equation? Of course, every company will have one or more topics that are specific to their own circumstances and need to be dealt with before a migration to Exchange 2010 is possible. But you can’t cover every single question that might arise in sixty minutes or thereabouts so the list presented above seems to cover a wide audience (based on what I am hearing). This entry was posted in Exchange, Exchange 2010, Technology and tagged Connections, Orlando. Bookmark the permalink. Compliance, including IRM, search, etc. are things I’m seeing some traction on. Mobility, including access to data covered by the above topics. Compliance can be covered under third-party software as I think the debate there is whether to move from solutions such as Symantec Enterprise Vault or not. Mobility is just another client type, n’est pas? Integration with Lync/OCS is a reason to move… or maybe not? I was thinking more of the compliance features that are available within Exchange. Focusing on transport rules, IRM, ethical walls, etc. Yes, we can debate about whether to use/discard 3rd party solutions, but if we don’t push what’s in the box to begin with, I think orgs naturally start to look outside. True that mobility could be looked at as just another client, but it also covers people away from the physical structure, and what they have access to and how. As for integration, it’s really time that people started to look at it as not just email. Now we have the full UC solution in an easy to use client. Well, I guess transport rules (even though they have been considerably enhanced in Exchange 2010) are not real news as they exist in Exchange 2007… IRM is still a stretch for most organizations because of the requirement to a) deploy Active Directory Rights Management Server and b) clients like Outlook 2010 that will work well with Exchange 2010 IRM. I view IRM as a minority interest – terrifically important to companies that need it, but ignored by the majority who simply want to deploy email. Agree 100% that UC is now much more mature and well deserving another look if people haven’t checked it out recently. I would put Cloud into the equation. I see many companies asking themselves about the strategy to apply. What are the benefits vs. challenges of the different scenarios (Cloud, mixed, on premise). And that’s what the last topic (Office 365) is intended to address – whether or not companies should consider moving Exchange to the cloud or stay with an on-premise deployment of Exchange 2010! It might be beneficial to also mention “private cloud” in the mix where larger customers establish a service organisation to manage a number of loose connected entities. Further a discussion on how small organisations should implement Exchange 2010 with the increased complexity and broad feature set, could also be interesting. I think that a migration provokes different emotions and thought patterns in different sized companies. Large organizations tend to have complex, distributed, and heterogeneous IT environments and whereas the migration might be difficult to coordinate and manage, there’s probably enough resource (people, knowledge, and budget) to pay for it. Smaller organizations are simpler but have less resources – and they probably don’t have the desire to be in a constant cycle of migrations – so maybe Office 365 is the natural evolution for these companies? I agree with you that Office 365 in many ways is the natural evolution for smaller companies. But interesting trend I see is that open sources solutions and the old competitors tried to fill the gap with dedicated on-premise solutions for this market. Another interesting aspect of cloud based solutions as they become more and more mature, is the question about migration moving from one cloud solution to another.